Out Of The Easy gives more than a lift to Josie Moraine, the protagonist of a deceptively straightforward and wildly engrossing historical fiction set in the 1950s. It gives readers a lift too as an amiable heroine attempts to break the chains of circumstance in New Orleans. Although Moraine is a little rough around the edges after being raised in the seediest side of the French Quarter, she is smart and resourceful. She holds down two jobs as she approaches her eighteenth birthday — one at an author-owned bookstore and another at the brothel where her mother works. It's in these two different environments that Moraine often foreshadows her future. She sees her life unfolding with an education like author Charlie Marlowe or without one like her mother, who entertains gentlemen at a house owned by madame Willie Woodley. It would all make perfect sense, except neither path is precisely as it seems to be nor necessarily exclusive of one another. Josie Moraine sees her chance clearly enough. She has her sights set on school in New England, a college that is less likely to discriminate against or discourage degrees with a domestic bent. But to make it happen, there are plenty of roadblocks for Moraine to overcome. The first and most obvious is that being accepted in proper circles is difficult without the right pedigree. As Woodley once laid out: Salted peanuts don't mix with petits fours. And Moraine is salted peanuts. Not only was Moraine's mother a prostitute, but she was also named after the most successful madame that her mother had ever met. The reason didn't help either. Her mother wished that life on Moraine too. If that wasn't enough, Moraine has other challenges. She doesn't really know anyone who could write her letters of recommendation. She never had time to partake in extracurricular activities. She had no idea how to finance her education. But even if she could remedy these two problems, another problem surfaces. A gentleman visits the bookstore on New Year’s Eve and purchases a volume of Keats for his wife and another copy of David Copperfield by Dickens for himself. Their friendly conversation sends Moraine’s head spinning with possibilities, enough so that she makes an exception and accepts a check instead of cash. It would be the last check the man would ever write. He coincidentally turns up dead on the same day that Moraine's mother and a thug named Cincinnati decide to make their break for Hollywood. Caught in the middle of the investigation, Moraine finds herself unsure of whom to trust, including herself. Maybe she is, Moraine decides, nothing better than salted peanuts. A few graphs about author Ruta Sepetys. 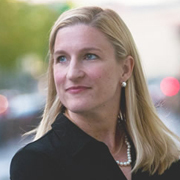 Born in Michigan, Ruta Sepetys was the youngest of three in a family of artists, readers and music lovers. When she went to college, she intended to study opera but had a change of heart. She became an international finance major, which gave her an opportunity to live abroad. It was while she was in Paris that she decided to return to her musical roots. She moved to Los Angeles and then Tennessee where she found "a beautiful boy" and got married. The slower pace did wonders, giving her time to transform some of her adventures into stories. It was her husband who encouraged her to write a novel. Out Of The Easy is her second. Out Of The Easy By Ruta Sepetys Hustles Up 9.1 On The Liquid Hip Richter Scale. The brilliance in the book is how effortlessly Sepetys tells her story through the eyes of Josie Moraine. Moraine is a fully realized young girl who is coming of age in a very different New Orleans than the one people know today — one where the heroes and villains could not always be told by the cut of their cloth. 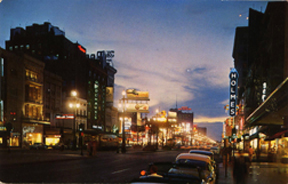 The French Quarter, in particular, had been mostly given up to organized crime and illegal entertainment. 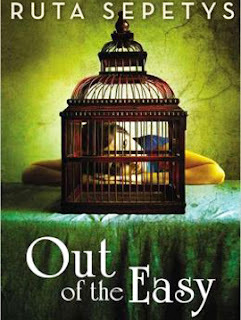 Out of The Easy by Ruta Sepetys can be found on Amazon. You can also download the book for iBooks or order the novel from Barnes & Noble. The audiobook is narrated by Lauren Fortgang. She reads it with a passion fitting for the story but with a much more pronounced accent than the print implies. Sepetys, by the way, maintains a very active and entertaining Facebook page.